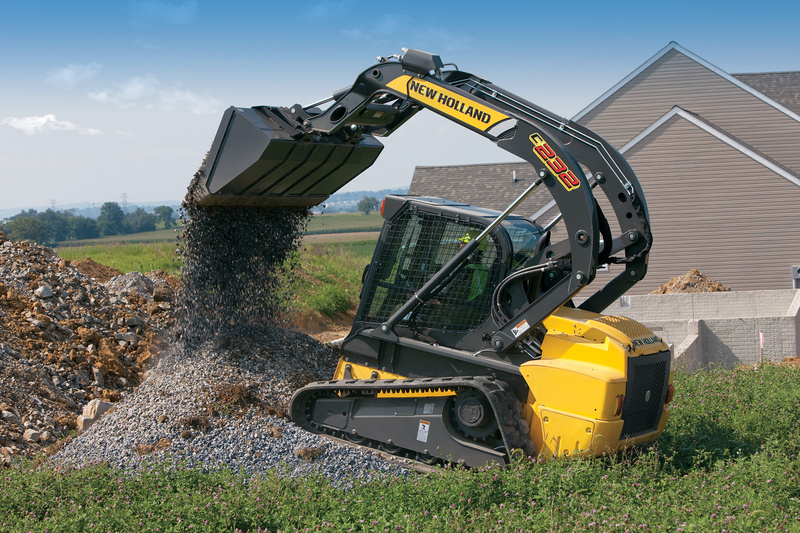 Introducing the new 200 Series compact track loaders. With five years in the making, they’re bigger, badder and better! 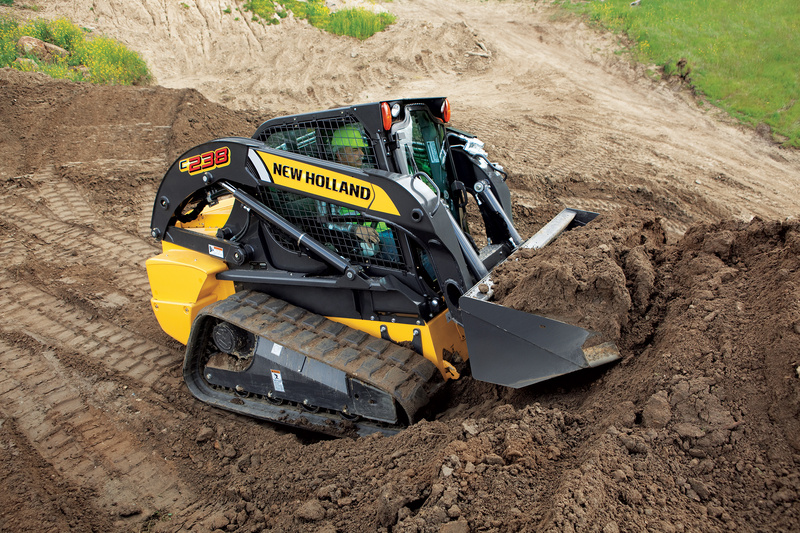 New Holland engineers used input from hundreds of customers to design our new line of compact track loaders. Designed from the ground up, these machines were built around you. 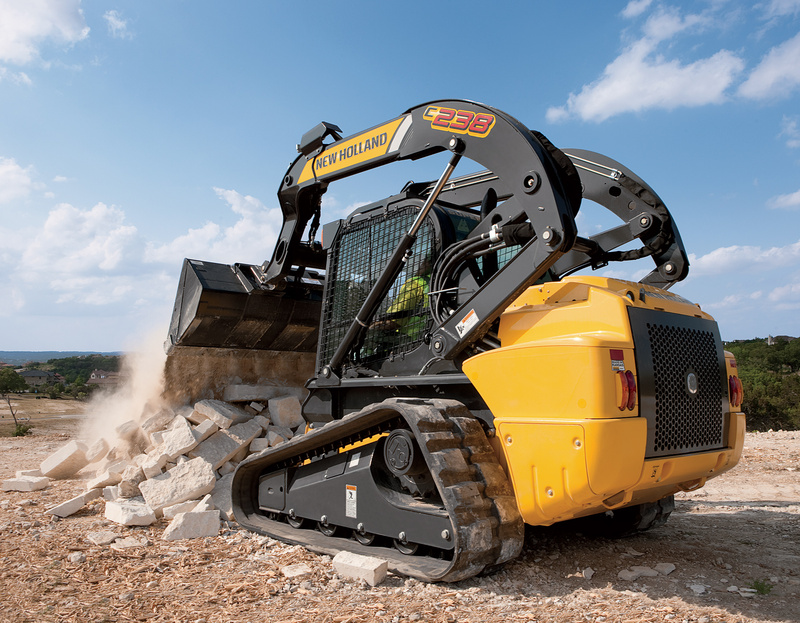 No matter what your line of work – agriculture, landscaping or construction – you’ll work faster, smarter and more profitably with our new compact track loaders. The rigid undercarriage design is simple, yet rugged, giving you a stable ride over rough working surfaces. Plus, with fewer moving parts than a suspension track system, it’s easier to maintain. Need more room? We have one of the widest, most comfortable cabs in the industry, giving you more head and foot room, and offering twice the visibility in critical zones. Better visibility allows efficient movement around the worksite. The overall width has been reduced on the C232 and C238 units equipped with the 17.7 inch tracks. This change makes it easy to transport on standard trailers. 200 시리즈를 선택해 다양한 사업 기회를 누리십시오. "New Holland 스키드 스티어 로더와 콤팩트 트랙 로더는 광범위한 어태치먼트를 통해 놀랄만큼 다양한 작업을 쉽게 수행할 수 있으므로 다양한 기능에 있어 최고라고 할 수 있습니다. 보조라인은 어태치먼트에 유압을 공급하는 표준 기능으로 쉽고 신속하게 교환할 수 있습니다. 보조 라인이 분리되면 압력은 자동으로 해제됩니다. 렌치가 필요하지 않습니다. 또한 유압 어태치먼트 커플러를 사용하면 운전자가 운전석을 떠나지 않고도 신속하고 안전하게 어태치먼트를 교환할 수 있기 때문에 현장에서의 가동시간과 생산량이 증대됩니다." 콤팩트 트랙 로더에 관한 상세한 정보를 원하시면 연락처 정보를 작성해 보내주시기 바랍니다. 개인정보 보호정책을 읽었으며 그러한 정책에 동의합니다. 2017 © NEW HOLLAND CONSTRUCTION - A CNH INDUSTRIAL BRAND.